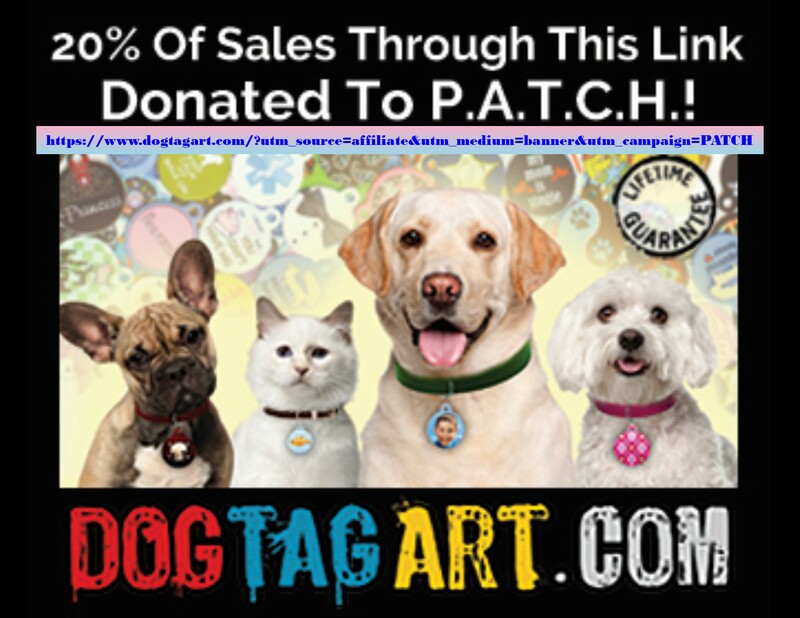 You can donate financially Here or by clicking the Pay Pal logo above, which you do not need a PayPal account just a credit card and a BIG heart for our fur kids! Every penny is spent to save more lives, NO PAID EMPLOYEES! If you have other resources, like your time to Volunteer, other dog related items like Food, Leashes, Collars, Beds, X-Pens, Wire Crates, Dog runs, poop bags, bowls, crate pads, can lend us a place to set up an Event for an afternoon or just about anything else a new pet owner might need – Please contact us regarding non-monitory donations via email patchrescue@gmail.com. Thank you from the Founders, Fosters, Volunteers and MOST important from the bottom of all the furry little hearts you will help by donating! Amazon Smile – Support our fur kids while you shop!